Mac vs PC- For Business Startups: What's Best? 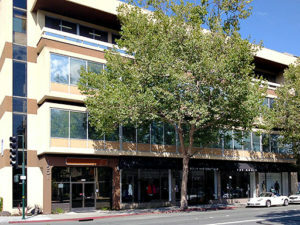 - Forte Systems Inc.
Every business, from SaaS platforms to local spas, needs computers and tech products. Finance, customer service, social media channels – all of it requires efficient software and reliable machines. But it’s a big industry, so where do you start? One of the first – and sometimes the most heated – discussions that comes up, is “Mac or PC?” Both options have strengths and drawbacks. Both sides have passionate spokespeople. We asked people who are actually making, and working with, that decision – from small business owners to startup consultants. Here is what they had to say. 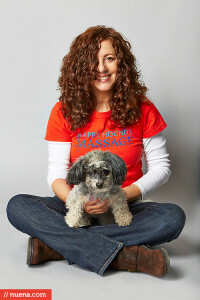 Shelah Barr (@HappyHoundsMasg) is a certified massage therapist, and owner of Happy Hounds Massage, based in San Francisco. She has been in private practice since 1993, and she uses both Macs and PCs. Which computer is best depends on the users’ preferences/type of start up, but even more so on what they’re using the computer for. I’m on an iPhone, iPad mini, MacBook Air, and a PC. I use them all for different aspects of my business, because they all fill different needs. The phone is used as a phone (of course), but there’s a timer app I use during sessions that’s not available on the iPad. I also use Square and the calendar more on the phone because it’s just easier for me. The iPad is my go-to for client charts and notes, and my daily on-the-road communication and document management sweetheart. The Mac is new so I haven’t fully converted from the PC and may not. While I love the ease of the Mac – and that my calendar, mail, and notes all sync through the Apple devices – the accounting program I use works best on the PC. I’m not yet willing to sacrifice that functionality. Taking a good look at the programs and apps you use most for your business can be a big step in helping you decide which way to go. Chris Post (@PostMM) is the Founder and CEO of Post Modern Marketing, a digital marketing agency that helps businesses more effectively market themselves online. 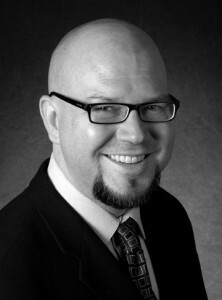 He is a sought-after consultant and speaker on inbound marketing and search engine optimization. In the technology industry, we spend a LOT of time in our operating systems, so it comes down to what is going to provide me the best overall experience. I choose Mac over PC for the same reasons people choose Mercedes over Chevrolet: it’s more powerful, more elegant and definitely more reliable. For business startups, choosing the better platform from the start could actually save a lot of time, money and stress in the long run. 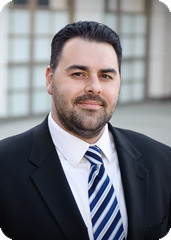 Devin Henkel (@DevinHenkel) is a Senior Manager in Innovation for a Big 4 consulting firm. His background is varied and includes expertise in strategy, design, development, technology architecture, and media production, and he agrees that the higher up-front cost of a Mac is a worthy investment. A lot gets made of the Mac’s sticker price, but you are typically buying high-end hardware that is comparably priced to a similarly-equipped PC. While the price of entry is lower for a mid-range Windows PC than a Mac, many of my colleagues are on their second or third PCs, while I’m still working well on my MacBook Air. If you were looking to quickly outfit a number of people with computers, you may opt for the lower cost PC option, but in the long-run, you’ll spend less on Macs since they will last longer. If you’re starting from scratch, or getting ready to invest in technology to officially launch your startup, don’t be scared of a big price tag until you consider what you’re buying. Henkel details how the structure of a Mac’s operating system also impacts the machines’ performance, and the customer service offered by Apple. OS X runs on top of FreeBSD, so each application is running in its own context. Back in the old days, when storage and memory were scarce, the shared dynamic link library (DLL) model made sense. However, Microsoft hasn’t really updated that model in a long time, and that model produces conflicts. While apps still crash on the Mac, it is less likely to bring the machine to a halt, and there is no chance that installing a new app will overwrite a DLL that another app depends upon. The stable architecture of a Mac means more uptime, which translates to more productivity. If something does go wrong with your Mac, there’s one place to go for support. The way PCs are built – by farming components from the lowest bidder – support seems to turn into a blame game. I’ve spent a lot of time on the phone with Microsoft telling me to contact my graphics card manufacturer, and then having them point the finger back at Microsoft or telling me that it’s probably some other vendor overwriting their .dll that’s causing the problem. The unique operation system and the in-house construction of a Mac will, of necessity, drive up the price tag, but it may also mean that price tag includes other unseen or less-tangible benefits. 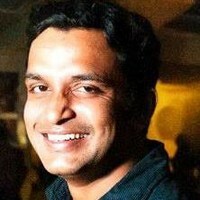 Werner Egipsy Souza (@Hephail) has 11 years of experience with Indian startups in automotive, mobile, advertising, home automation, publishing and hardware. His experience has taught him that most startups can stick with what they have. It’s just a question of starting with what you have, because the main struggle with starting up is keeping costs low. Most startups are formed by a consultant or freelancer, hence they would be more comfortable with their existing system or something popular within their industry. Obviously, if your startup is in a design-led industry, like architecture or advertising, your weapon of choice would be a Mac along with your iPhone or iPad. If your startup is more into development, then your choice would be Windows. The key thing to remember is that since a startup needs a lot of social interaction, the chosen device should be fully compatible with current, regularly used content formats. Don’t expect colleagues and clients to spend time translating content from one format to another. If you’re a freelancer or consultant who is expanding into a startup company, chance are good that what you’re already doing, is working. Maybe you don’t need to fix it. The Mac v. PC debate will likely continue as long as Apple and Microsoft produce tech, but you need to make a decision for your startup before one of the giants falls. Consider your current system – from the hardware you’re already using, to the software your business relies upon – to determine how much (if any) change you really need. Then, look past the first objections to either option, and determine what you’re really buying before you pull the trigger. The Dollars-and-Cents Rationale for Moving to the Private Cloud How Does Virtualization Benefit a Business?